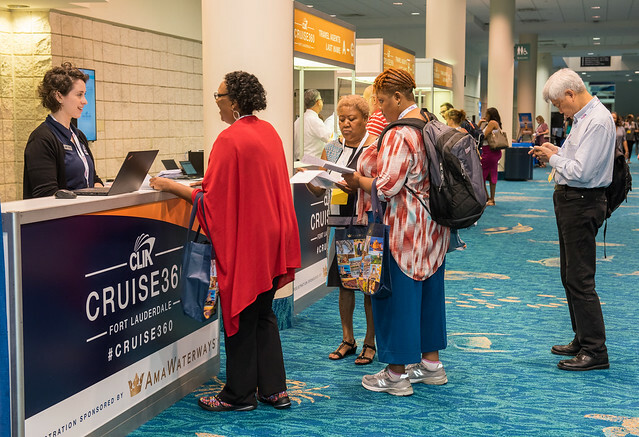 Cruise360 is like no other conference experience. Packed with a week’s worth of professional development, the latest and greatest ship inspections, multiple networking events and industry insights from top industry leaders – and a whole lot of fun! The perfect combination of networking, learning and destinations, as well as the ins and outs of selling cruises, and don't forget the fun! Cruise360 was outstanding and powerful. I've truly enhanced my knowledge on cruising. A truly memorable week that has increased my passion to further succeed. Every course, every instructor was a wealth of information! I strongly recommend Cruise360 to every travel agent who wants to excel in the travel business. A MUST for those who want to take their cruise biz to the next level!!! A great opportunity to have all the cruise execs in one place! I left Cruise360 with a renewed confidence in my cruise industry knowledge. Exciting to meet key industry leaders and network with other agents. It was exciting, educations, and FUN!! !